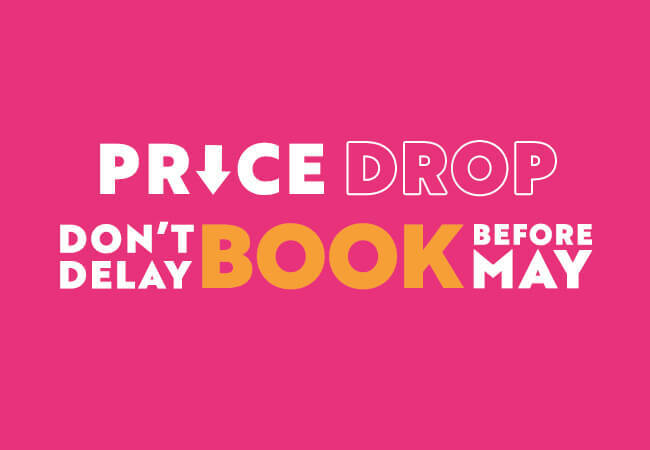 Our biggest tickets are reduced until May, so grab a bargain while you can! 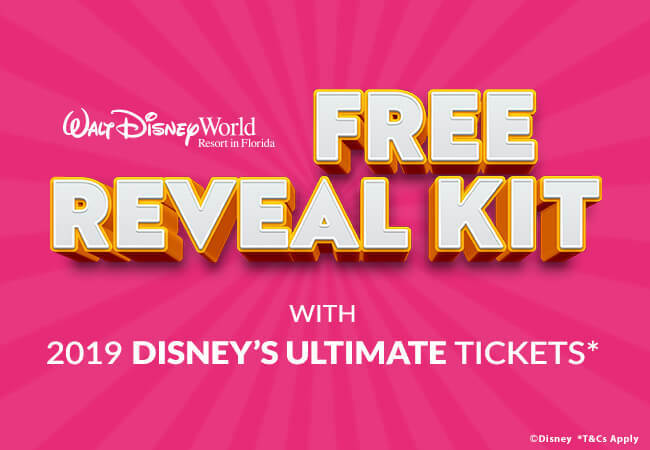 FREE Reveal Kit with 2019 Disney’s Ultimate Tickets! 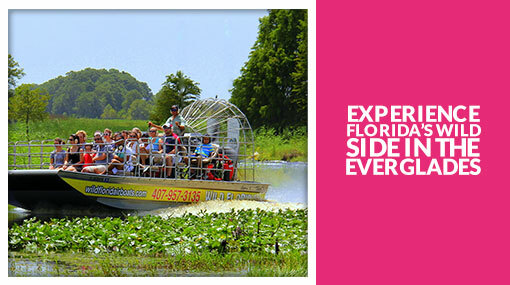 Want to surprise your kids, family, partner or friends with a trip to Walt Disney World in Florida? The Exclusive Reveal Kit includes everything you need to announce your trip in a way they’ll never forget! 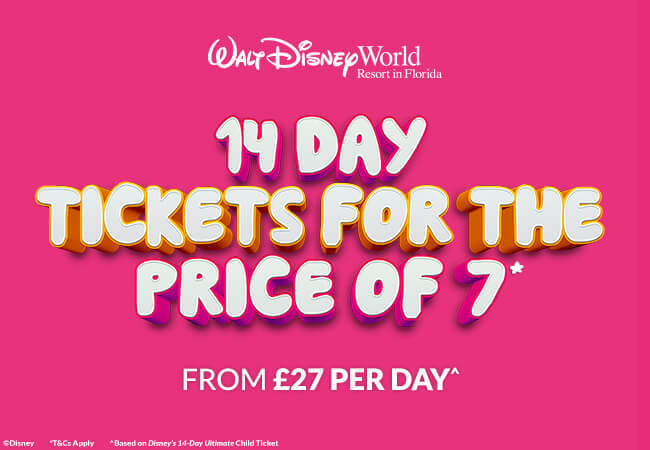 Book Now from £27 a day! 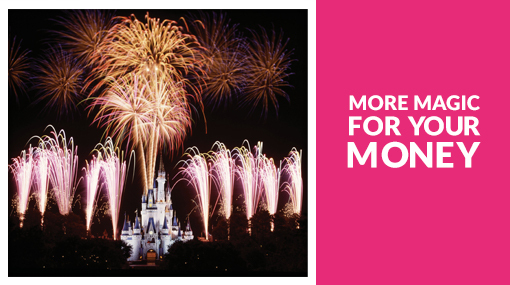 For a limited time only, you can spend 14 days at Walt Disney World Resort in Florida – and only pay for 7! 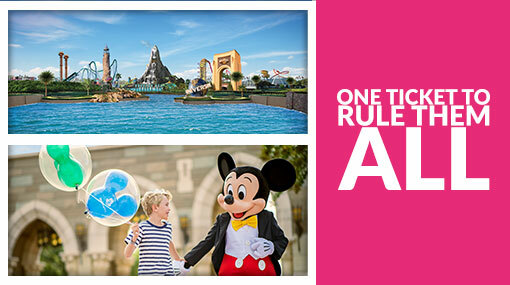 Unlimited entry to all 6 Disney Parks! 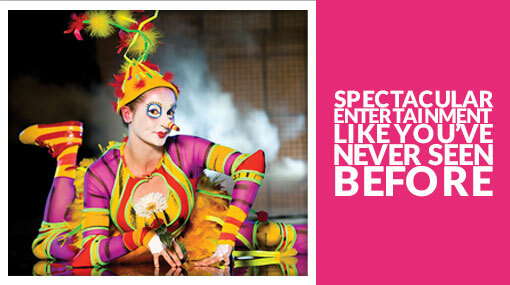 *T&Cs apply to ticket offer & all inclusions. 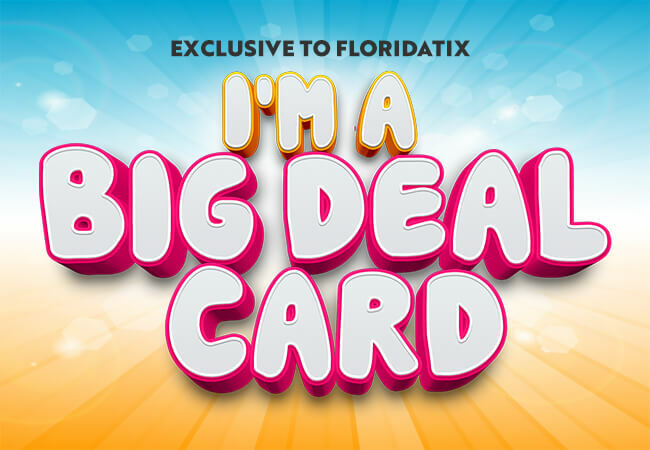 The Big Deal Card gives you massive savings on dining, shopping and activities at over 100 different venues in Florida! Book your tickets before April 30th 2019! 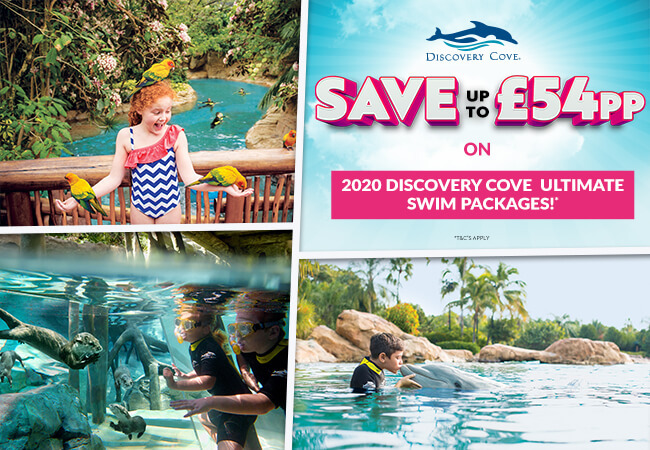 Book the Discovery Cove Ultimate Swim Package to unlock an incredible saving of up to £54 per person - that's over £200 for a family of 4! Swim with an adorable Dolphin! Free parking at all these parks – an extra saving of up to $35 a day! 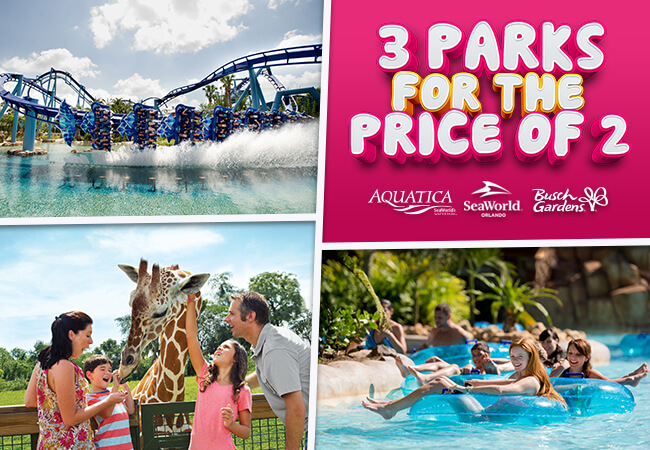 Get 14 days' access to 3 SeaWorld parks - SeaWorld, Busch Gardens and Aquatica - for the price of two! Ride hypercoaster Mako at SeaWorld, the massive drop tower Falcon's Fury at Busch Gardens and the freefall drop-slide of Ihu's Breakaway Falls at Aquatica. PLUS FREE Parking! When you buy any of the below tickets, you won't have to worry about any extra parking because it's all free! If you just turned up to SeaWorld, parking would cost you $18. 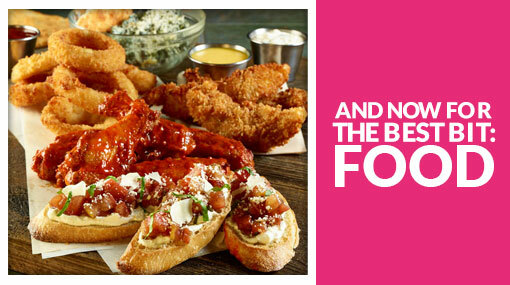 With our tickets, it's free any time! 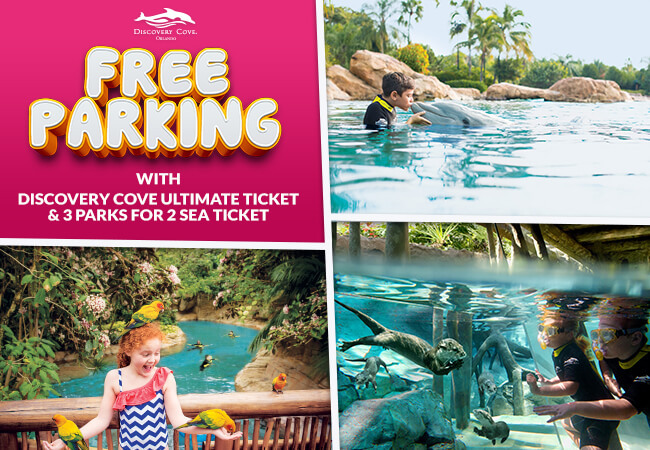 Book any of the following tickets and parking is FREE at SeaWorld, Aquatica and Busch Gardens! Why get a Universal Orlando 2-Park Explorer ticket when the 3-Park Explorer ticket is the same price? 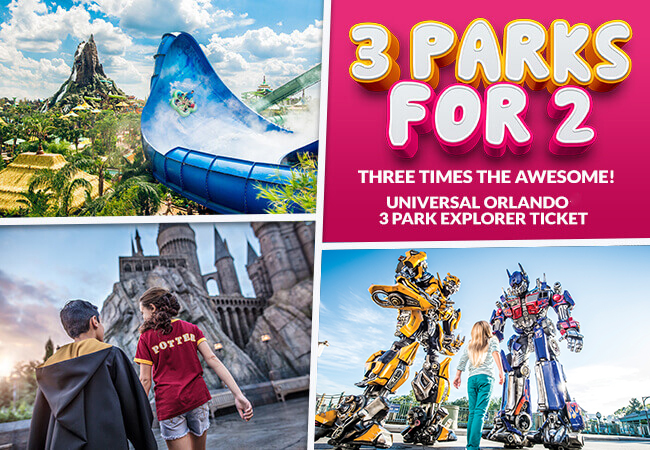 See Universal Studios Florida, Universal’s Islands of Adventure and the newly-opened water theme park Volcano Bay, all in one ticket, with unlimited entries over 14 days! Plus don’t forget our tickets include access to the Wizarding World of Harry Potter! 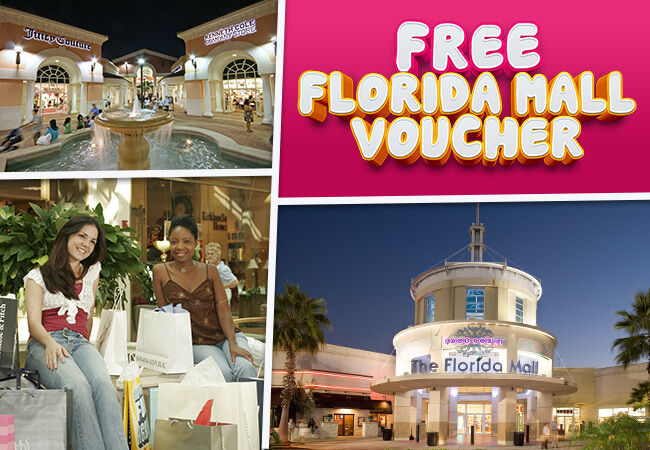 Save $$$s on shopping and dining at any SIMON shopping destination including the Florida Mall! 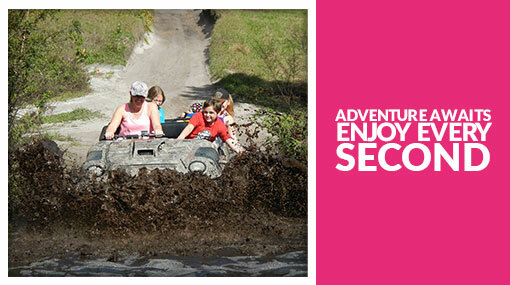 With every booking you'll receive a voucher that entitles you to all kinds of special offers and discounts.